The estimated cost to demolish Joe Louis Arena has doubled. The Detroit City Council is in the process of approving the issuance of a bond for up to $12 million that would back an up to $12 million Michigan Strategic Fund loan for the demolition of the former Detroit Red Wings home. Tyrone Clifton, director of the Detroit Building Authority, said in a statement it plans to have an environmental remediation contractor hired by next month and a demolition contractor by January. 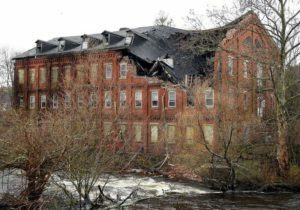 The process should take 10 to 12 months between demolition and site grading, he said. The MSF board would consider the loan request next month, said Sarah Pavelko, director of real estate for the Detroit Economic Growth Corp. The city would be reimbursed for the cost of demolition by the Detroit Brownfield Redevelopment Authority, which would capture the increase in property taxes as a result of a completed development anticipated on the nine-acre site. 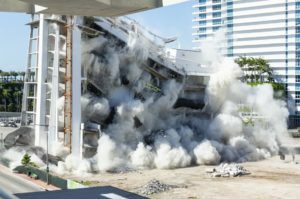 What happens with the site after the demolition remains up in the air as one of the city’s bankruptcy case creditors explores its options. Gotham Motown Recovery LLC, a subsidiary of New York City-based Financial Guaranty Insurance Corp., has until January 2020 to submit a redevelopment plan for the 9-acre property. Under terms of the settlement forged in bankruptcy court in 2014, it had until Nov. 21, 2017, to submit it, but Gotham Motown sued the city for an 18-month extension in February. The Red Wings moved into Little Caesars Arena on Woodward Avenue at Sproat Street last NHL season.